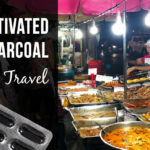 Home » Destinations » Asia » Thailand » Street Food in Bangkok: Thai Cuisine at its Best! Oh no, you want us to get food poisoning and experience what Thai hospitals are all about? Not at all! You really don’t have to worry about that in Bangkok. I know that even experienced travellers often shy away from eating street food. But in Bangkok, it’s safe. Thai street food is really good and of high quality! I couldn’t recommend it enough. Let’s dive into why it’s so good, what to actually try and where to have it! This is the homemade Thai cuisine at its best! It’s usually families just cooking on the street, no big restaurant machinery where the customer would never be able to get a glimpse of the cooks in the kitchen. 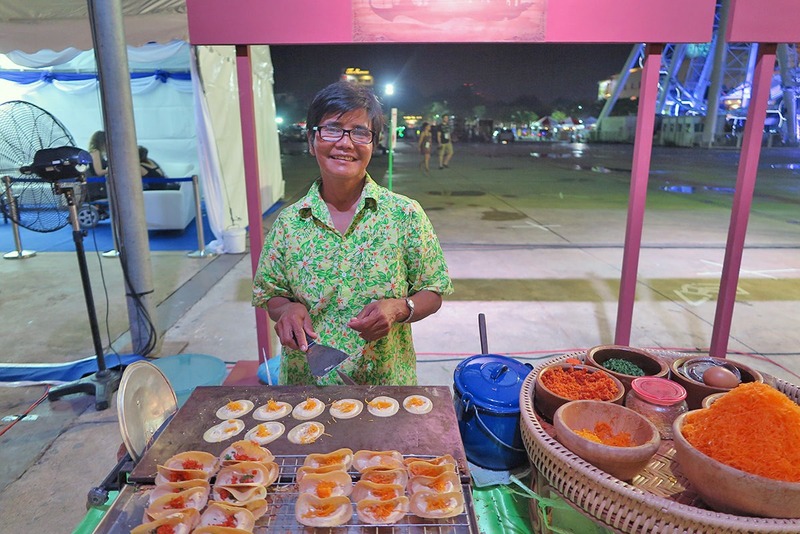 On the streets, it’s the Thai mamas and papas cooking for you as if you were their favorite child. 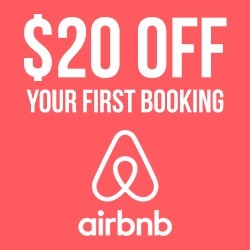 So don’t miss the opportunity because you won’t find this anywhere else in the world! Thai people themselves mostly eat street food. And believe me, Thai people are very particular with their cuisine. Only the best stays on the streets, any inferior Thai food wouldn’t be tolerated and the person selling it would go out of business very fast. Thai people are proud. And to be able to come to their vending spot every day and cook great food that won’t feed only the passersby but also their own kids, the stakes are way too high to give up on quality. Good for us! But – if you want to be extra cautious, pack some activated charcoal tablets with you, just in case. It’s really cheap to eat out on the street. On our first night in Bangkok, we went a bit too wild and ordered 5 meals for just 2 people, including whole fish. All that, together with a giant bottle of beer, cost us $12. Wow! You can either sit down with your food, in case your street stall vendor provides a seat for you, or just take it to your hotel. Low cost dining in Bangkok is a good dining. Bangkok street food has better price to value ratio that any ‘proper’ Bangkok restaurant could provide. Part of our big first dinner for a few bucks – delicious soups, whole fish and veggies! If only I remembered what all the Thai dishes were. Most of the times, we just walked past a row of food stalls, with wonderful mixture of mouthwatering smells in the air, where we saw something pleasing and we just went for it! From soups to noodles to fried little pieces of dough. It’s all delicious. What are the meals of the Thai cuisine that you must try – be it on the street or elsewhere? Pad Thai – Sure, try it. But just once! :) Don’t miss out on all the other incredible food options. 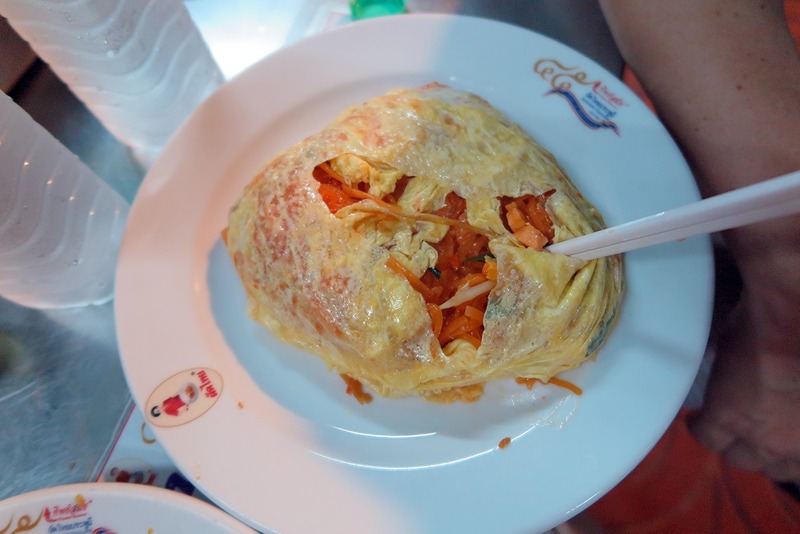 Pad Thai is the most famous one, but the cuisine has so many other dimensions! Chicken with Cashew nuts – Nice mild chicken, usually not spicy. Oh please transport me back. I love this meal! 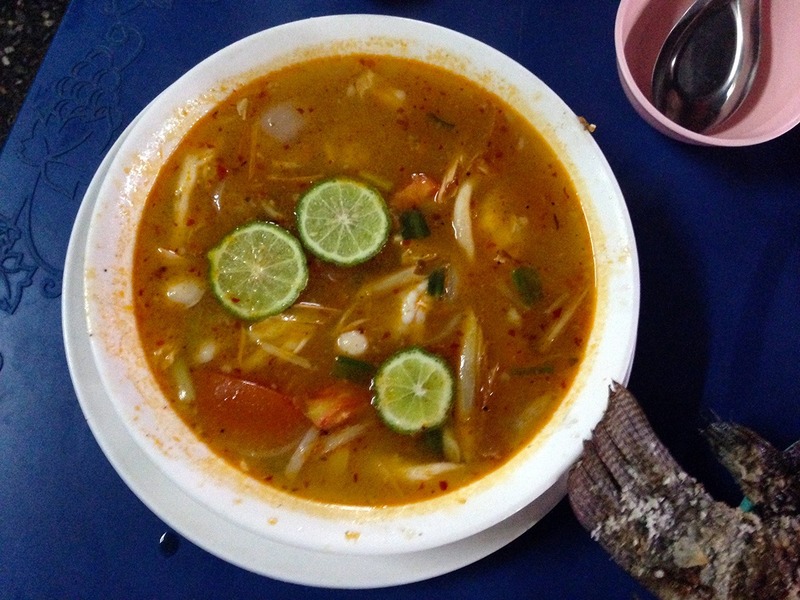 Tom Yum soup – Delicious spicy soup. Very tasty! 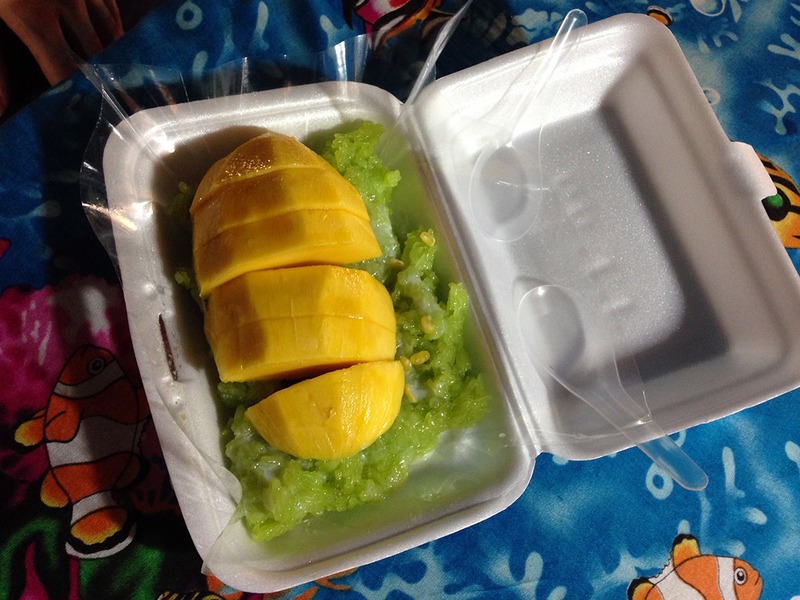 Sticky Rice with Mango – My absolute favorite dessert! And countless options of soups, meats on sticks, stir-fried noodles and fried rice..! The variety is endless. Would you like to try a fried cockroach, grasshopper or silkworm? You can have those too! My sweet star: sticky rice with mango! This rice is even colored! 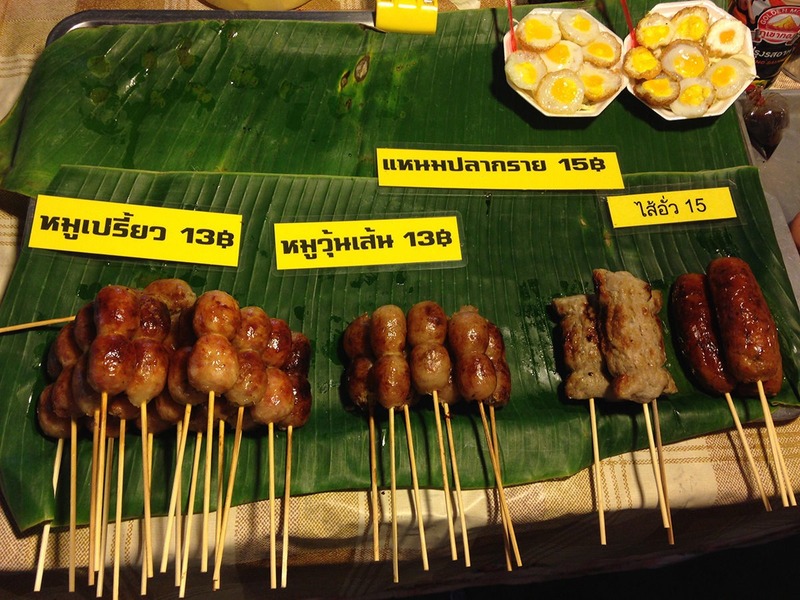 Would you like to have meat on sticks or rather cute little quail eggs? When you don’t know what exactly you’re eating but it’s so tasty you don’t care! 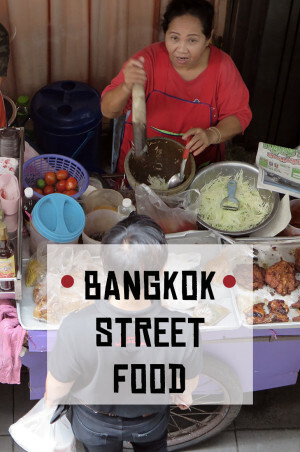 I haven’t managed to map out all of Bangkok, but at least I’ll share the areas where we encountered some great food options! If you know of another really good location, let me know and I’ll add it! Sukhumvit Road, from around Sukumvit Soi 23 to 39: This road, or, more importantly, its numerous side streets, are a real paradise for the eyes and stomachs! You could find anything there! From eggy breakfast dishes to meat satay to sweet little dumplings. 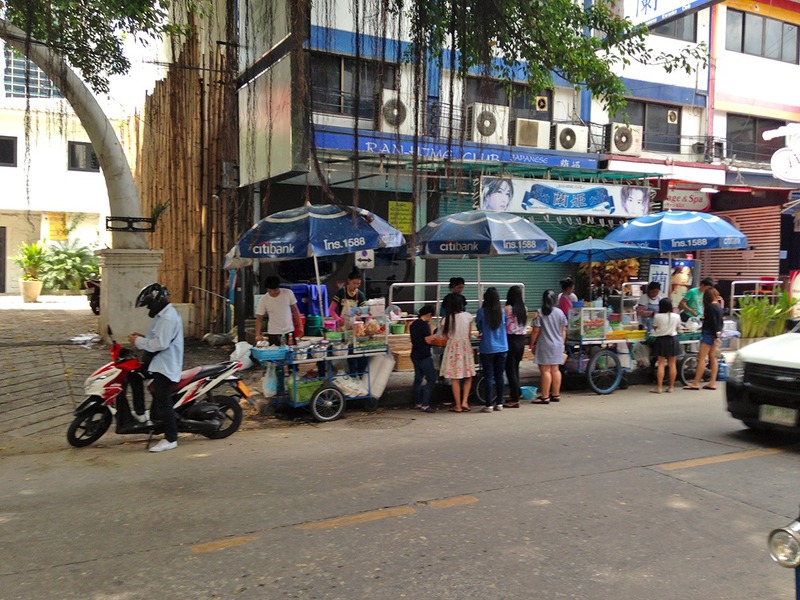 BTS Chidlom: Otherwise a busy skytrain stop, the location presents quite a few food stalls. There are about 4 rows of food stands cooking up even seafood, all right in front of the shopping mall. 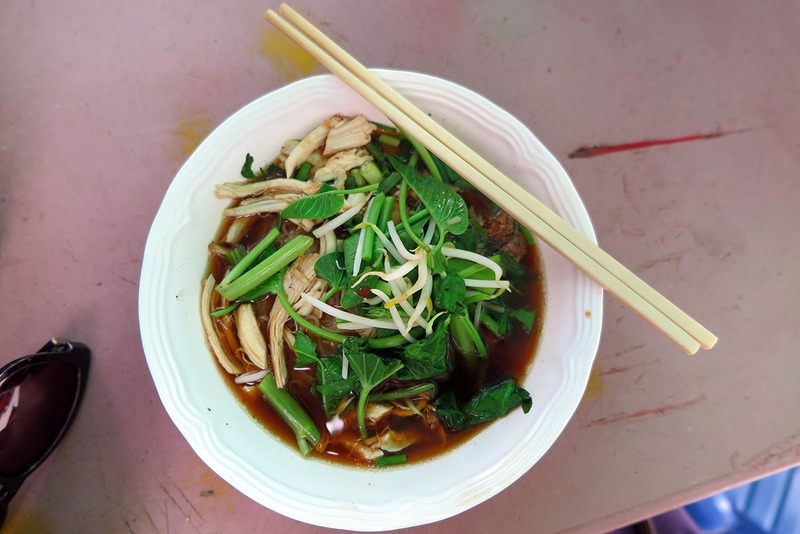 Phlap Phla Chai area – there’s a long and dirty-looking street full of stands, famous for a special Thai noodle dish called kuay teow kua gai. This place is a bit tucked away and I can’t imagine trying to find it on a first visit to Bangkok. 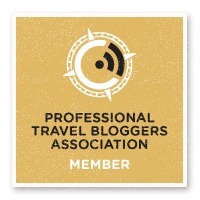 So it really came in handy to stop here with Bangkok Food Tours. 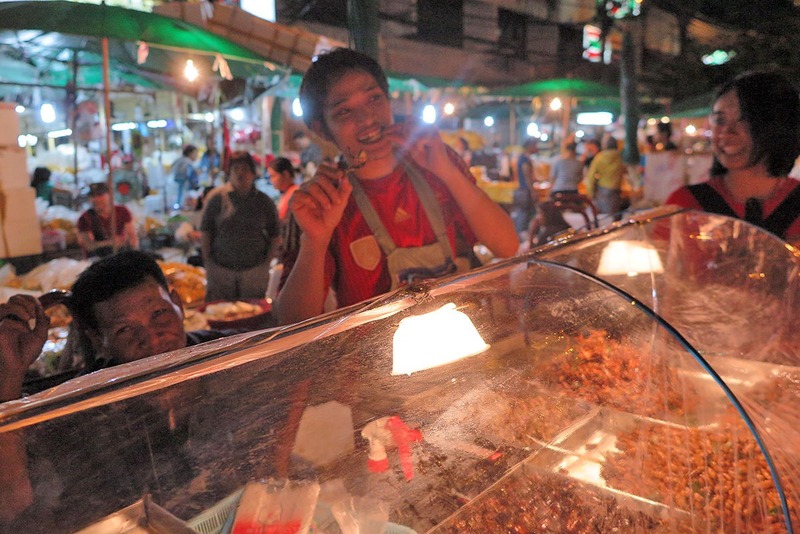 Flower market: Here’s where we encountered fried insects to savor! There are probably countless other locations, but the flower market is really special even on its own, so come check it out and eat that bad grasshopper! Train Night Market: This market is relatively new in the town and is therefore full of modern Thai bars and funky food stalls. No wonder mainly the young people of Bangkok frequent it. 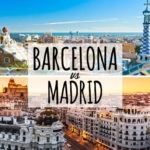 This place actually deserves a post on its own so stay tuned! The market is conveniently located relatively near the Suvarnabhumi airport. For a much more comprehensive list of street food options in Bangkok, head to Mark Wiens’ blog, he’s the real pro when it comes to (Thai) food! And to get a glimpse what street food is like in Koh Lanta, one of Thailand’s best islands, head to my previous article here. It’s not only about food, but it’s amazing! 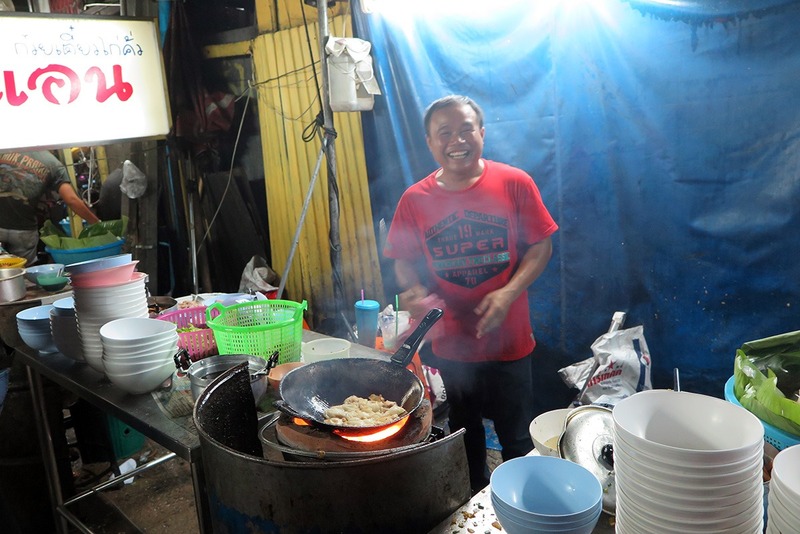 This guy is a hero, making around 300 noodle dishes a day – all on fire in a dirty little backstreet. 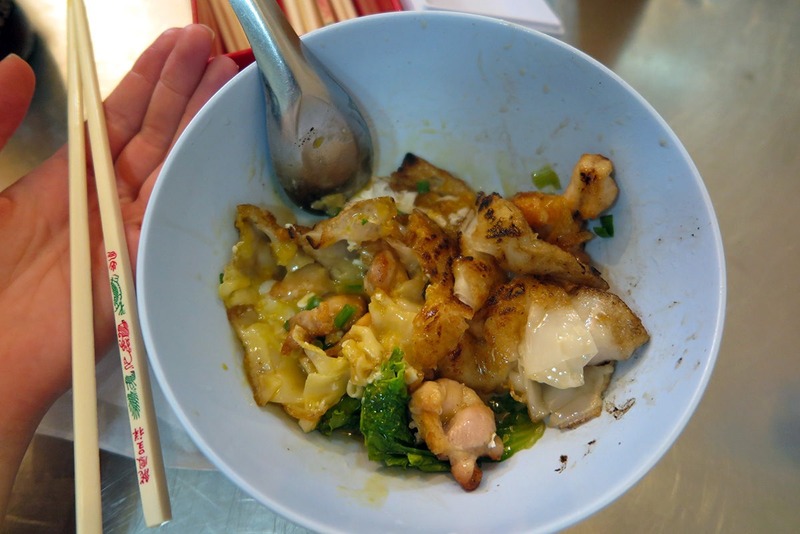 This is what he makes: kuay teow kua gai – it’s oily and delicious! Beatiful market right in front of a mall by BTS Chidlom. A real feast for the eyes! Very work-intensive dessert found in Chinatown: peanuts are crushed with hammers and then shaped into little soft pieces. 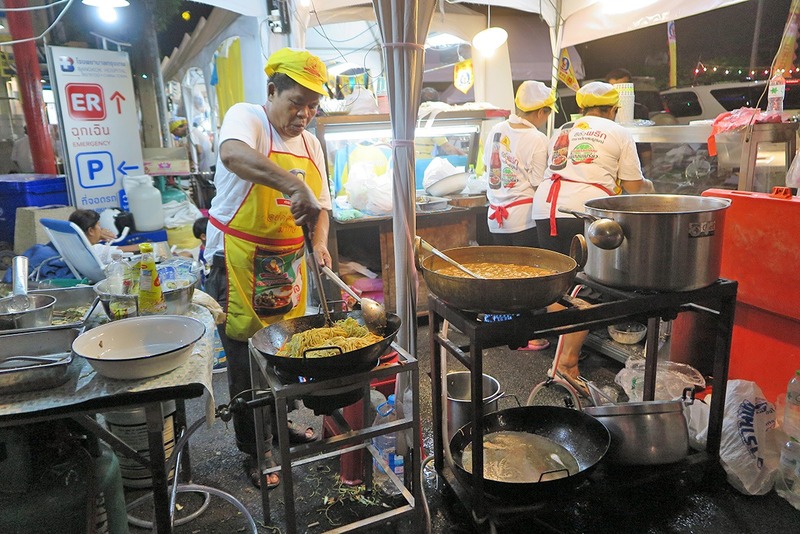 You need to be dedicated to cook on the streets – this guy on Yaowarat Road definitely is! There’s a lot more than just food in Bangkok, though. Check out this 3 week Bangkok itinerary. Here are also some practical tips on what to pack for Thailand. 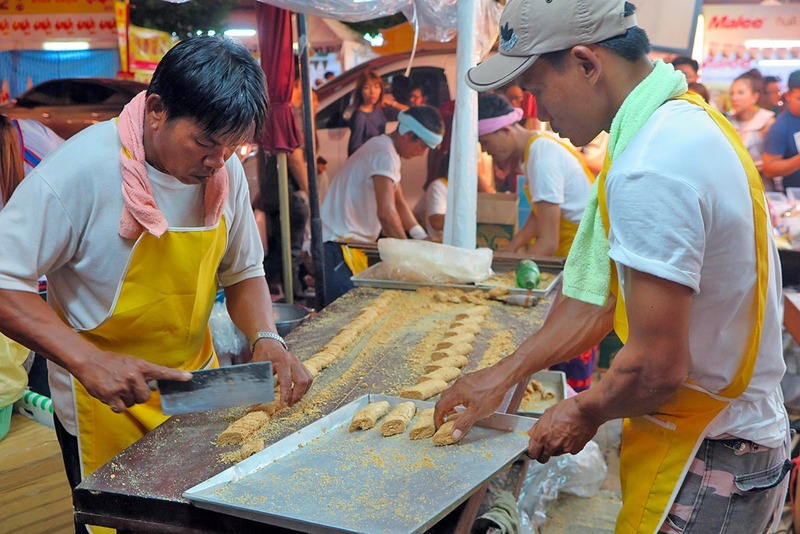 What has your experience been with street food, be it in Bangkok or elsewhere? 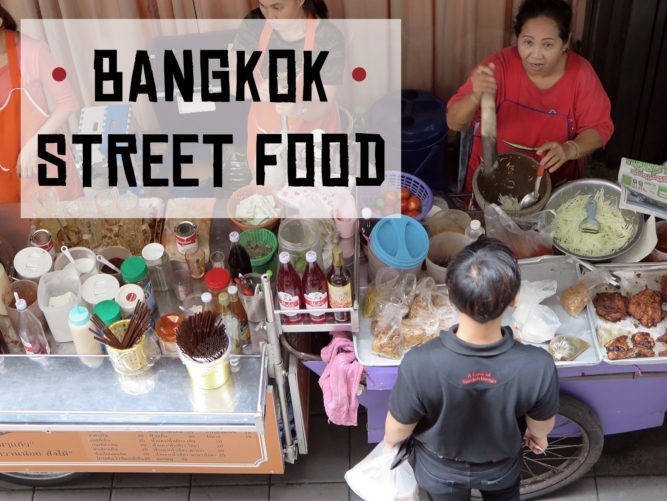 Have you tried the street food when you were in Bangkok? How about the fried insects? Fellow pinners, here’s a pinnable image for you to save for later! 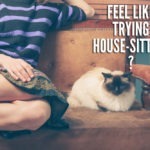 I have to 100% agree! 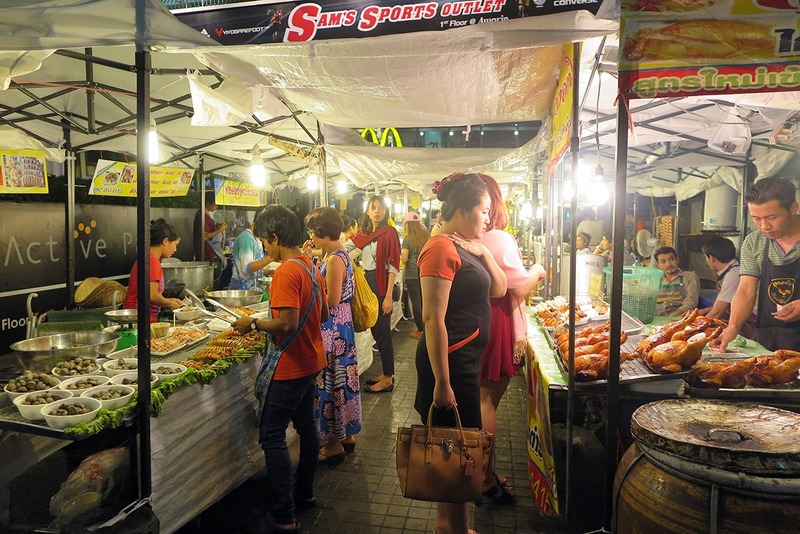 Just came back from Bangkok this week – I have only good experiences with street food there. And masaman curry is my fav, with the scent of cinnamon… Perfection! I highly recommend taking a thai cooking class there, so you can prepare your favorites at home later :) Hugs! Thank you Zuzu, you cinnamon girl :) What meal did you learn to make? What a pity we didn’t see each other in Bangkok! Thanks for your wonderful post. I really love Thailand’s cuisines although sometimes they’re too hot and chilly for me. Thailand’s food makes me sweaty but after that, I feel so great. I hope I can have chances to come back to Thailand soon.